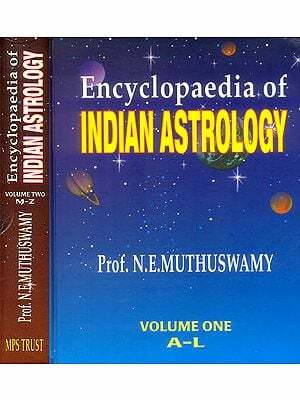 Sri V S KALYANRAMAN, A Mathematician and author by training, and a student of Astrology by passion, was initiated to regular traditional training in Astrology in his teens, under the distinguished astrologers of yesteryears in Kerala. 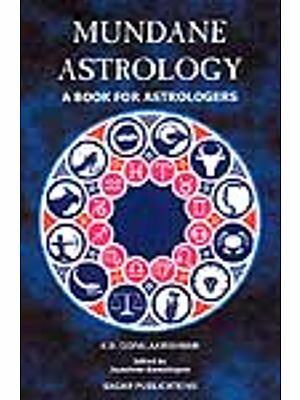 As a freelancer, for more than 60+ years, he had contributed in English, Tamil, and Malayalam, on many varied topics to important Astrological magazines like Indian Astrology, Modern Indian Astrology, Express Star Teller, and the like. 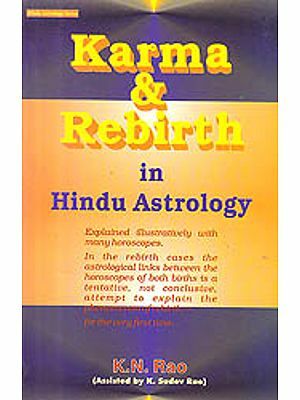 Besides these contributions to several magazines, he contributed to regular features of these magazines like Annual predictions, Astrological analysis of contemporary events, lead articles as musings to these magazines, almost every month. 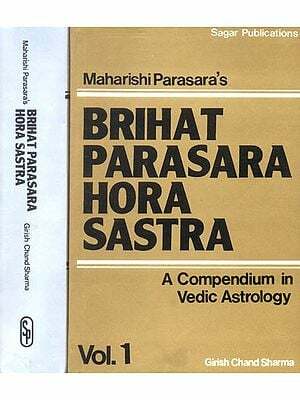 As an ardent lecturer of different aspects of Indian Astrology, he was a permanent invitee and contributor as key speaker to several important Astrological seminars all over Indian. His lectures were lively and informative and always well attended. 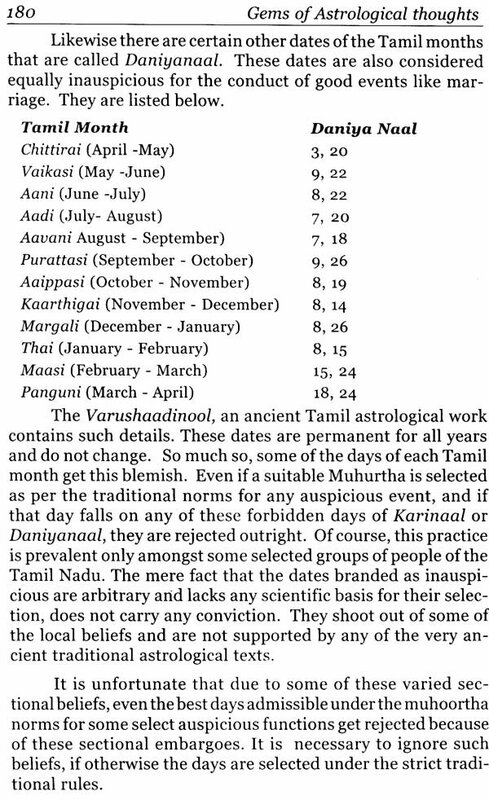 He was honored by several south Indian Astrological communities for his contribution to Indian Astrology. 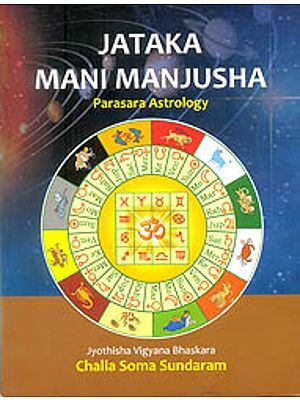 His books on different aspects of Astrology have become important classical learning materials for the students of Astrology as well as the practitioner. He has received many awards and tittles like EST “Nostradamus Award”. The title “Jyothisha Mahasagara” instituted by the ‘B V Raman Centenary Committee’, was conferred on him by Pooiya Jayendrapuri Swami of Kailash Asharma. ICAS conferred on him the title “Jyothisha Kovid”. He had a large following of students, predominantly from the astrological circles of south Indian and had many admirers across the globe. My dear husband always appreciated and encouraged me to pursue my literary qualities, though the amount of knowledge in the subjects was nowhere close to what he had mastered. Maybe this encouragement came from the fact that he knew that I Would to pen this introduction one day for his book, which I believe I am least qualified to do. During my 57 years of association with him, I always complained to my family members and friends that I have married a person who is already married to books. His passion for knowledge was immense and he would always spend time reading or writing. He admirers who visited him home always spent hours with him trying to learn a thing or two from thier interaction with him. In fact, in many, social gatherings, I have seen him being surrounded by many, some known to us and many not known, discussing subjects that I could hardly comprehend. These gatherings also created a niche set of admirers who always pursued his contributions and sought his advice. From these occasions and many other interactions that he used have with his friends, I could understand the depth of the depth of the knowledge and command that that he had on each of the subjects. His principles in life were simple and he never sought out for fame or money which was quite a surprise to many who knew him. After his unfotunate departure from us, our childern compiled many of his articles, accomplishments among other trivia and dedicated their tribute to him in the form of a website in his memory (https://www.vskalyanraman.com). I also turned to reading many of the works that he had created and many of the books and magazines that he could read so much and assimilate such great depth on so many subjects. Though I remain still a novice on these subjects, I wish to highlight the passion that he had for the subjects. It was astounding for all of us to note how he could be active in writing so much about the subjects that he followed . He was in fact writing and contributing but for a few months before he departed from all of us. The contributions from his vast knowledge on Mathematics, Philosophy, Vedanta, Paychology, Astronomy and Astrology combined with his linguistic skills on Sanskrit, Malayalam and Tamil is literally a life time work, that he has left behind for his admirers. 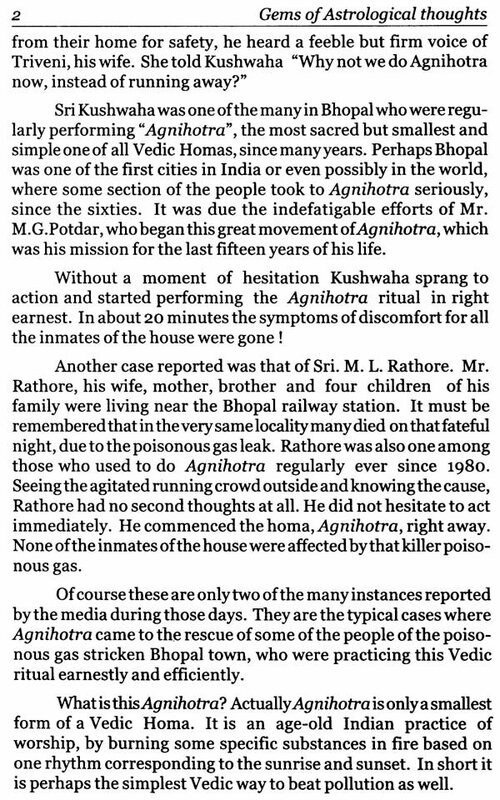 There are many gems of his work in the form of articles, books and notes that he has penned and that I am sure will be of use to many, wanting to pick a leaf from these subjects. This book which is a compilation of some of his select articles is one such gem that is being dedicated to all his admirers and friends. I am grateful to Shri. 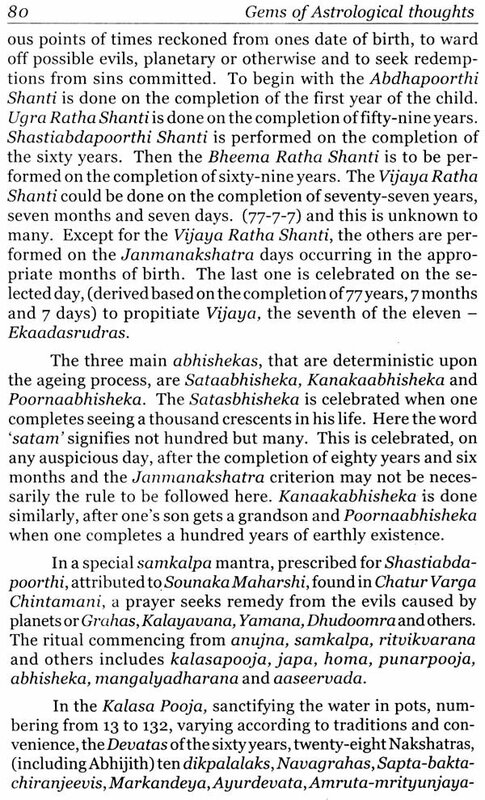 Eswaran of CBH Publications who has put in a lot of efforts to come out with the publication of this book 'Gems of Astrological thought-Jotisha Chintha Nidhi' which Shri V.S.Kalyanraman had compiled some time back and was pending typesetting for printing. I am sure that there will be many admirers of Shri. 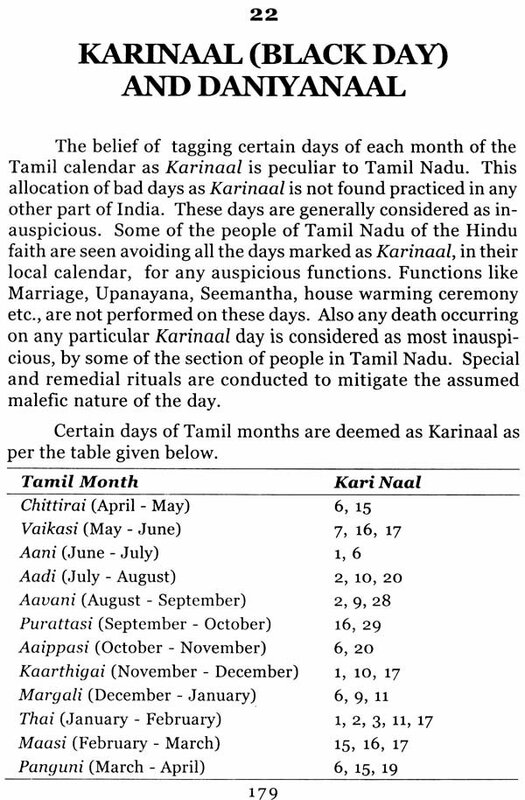 V.S.Kalyanraman, who would be happy to lay hands on this book the sooner it hits the stands. 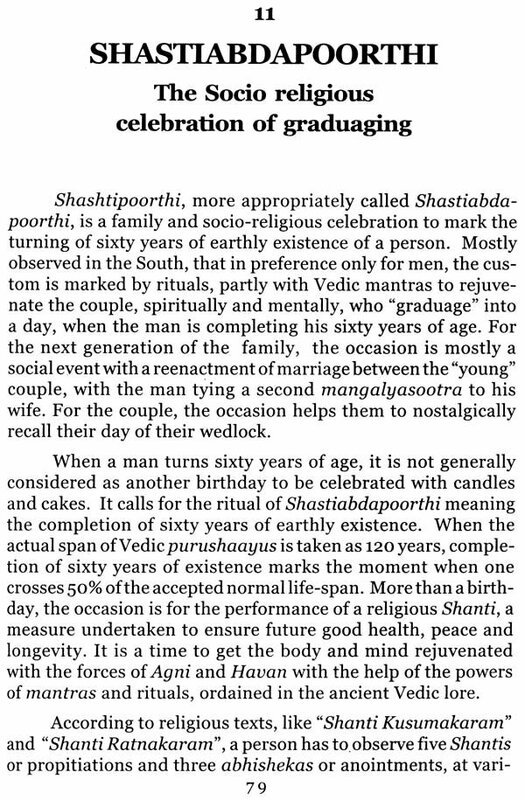 Though I complained many times about the fact that he spent more time with books, I consider it was a divine blessing to be the wife of Shree. 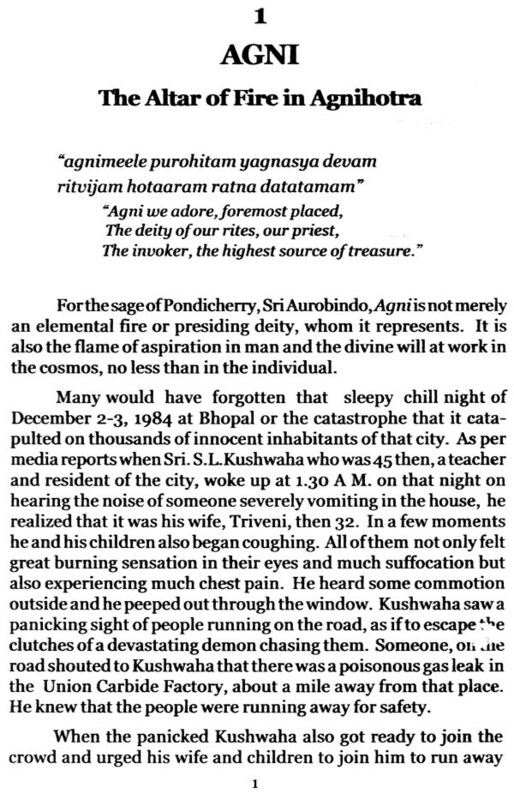 V.S.Kalyanraman, who had the choicest blessings of Goddess Saraswathi. He was always a friend, philosopher and guide to many who knew him and to our family. He has surely left behind a legacy that we all would always try to uphold with his blessings. I seek the blessings of almighty to give his choicest blessings to everyone including our family, friends, admirers and many others who knew Shree. V.S.Kalyanraman. 5. What is Ayanamsa ? 7. What is Yamakanta ?